Yes, YouTube was never something I could just dive into. When it comes to the web, social media and other networks on the internet, I am 100% down for it but YouTube has always scared me off. I’m not sure why, and to be honest it could be down to more than one reason. The competition? The criticism? The hate? The effort? I don’t know, but I think I’ve found something I may be interested in. I enjoy watching vlogs more than other video types on YouTube and I love certain YouTubers style when it comes to vlogging. I especially love the cinematic/montage vlogs where they are a lot more creative and a lot more effort has gone into them. They are far more than talking to a camera and if anything, I want to start these to build up an online collection of memories. SO I DID IT. 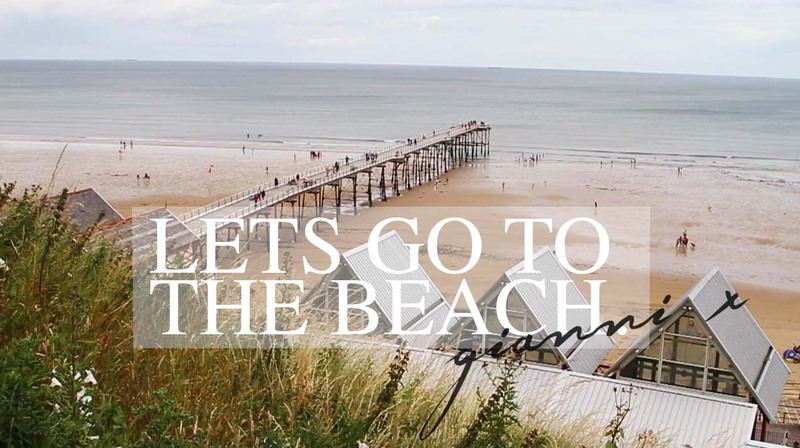 I took my trusty camera to Saltburn (a local beach on the North East coast of England) and I did some video magic. It is farrrrrrrrrr from perfect, I know… but it’s a start and a big step. I’d love to hear your opinions and if you like this cinematic approach and want to see more! Let me know, I’m literally going in blind here people! Show some love and let me know what you think. Want to see more? Subscribe to my channel here.